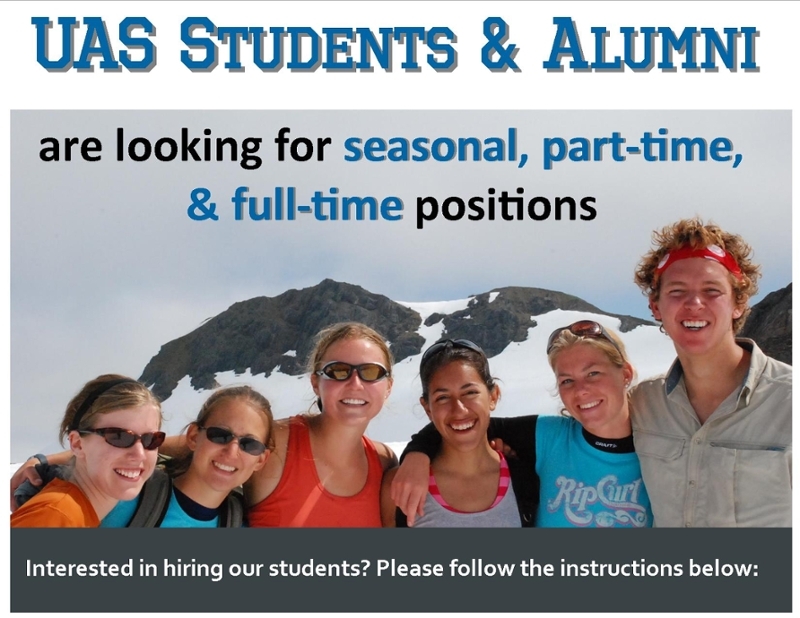 Interested in hiring UAS students/alumni? We value our partnership with employers both locally and regionally and appreciate the opportunity for our students to gain workplace skills while working towards their degrees. Please review the Career Services Disclaimer for policies that govern employment practices and UAS students. 1. Preview the current job postings via the Off-Campus Jobs link to see the type of information other employers are including. 2. Email your job posting (including any attachments) to Deborah Rydman. 3. You will receive a reply email with the link to preview the posting for any edits/revisions. 4. Once the position is filled, or you no longer would like it posted, please let Career Services know. Interested in Offering an Internship? Internships are excellent experiential learning opportunities for UAS students as well as a solution to pressing needs of an employer. Internships should be designed to provide learning opportunities for students and can be either paid or unpaid. Students are also able to earn college credit while participating as an intern. Internship Guidelines for Employers is designed to answer common questions employers have as well as list contact information for our different degrees and programs. If you would like to discuss a possible internship, please contact Deborah Rydman for further instructions and assistance. Thank you for your interest and investment in our students!